Le Fashion Truck: Want to Start a Fashion Truck Business? 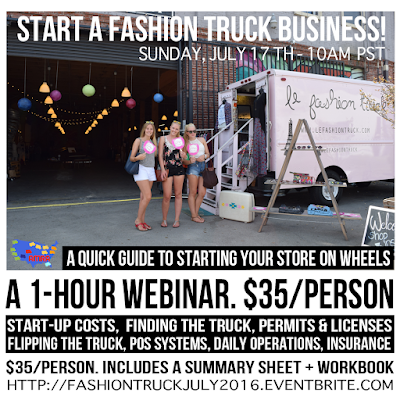 Want to Start a Fashion Truck Business? Are you planning to start a fashion truck business or a mobile retail business and need help getting started? 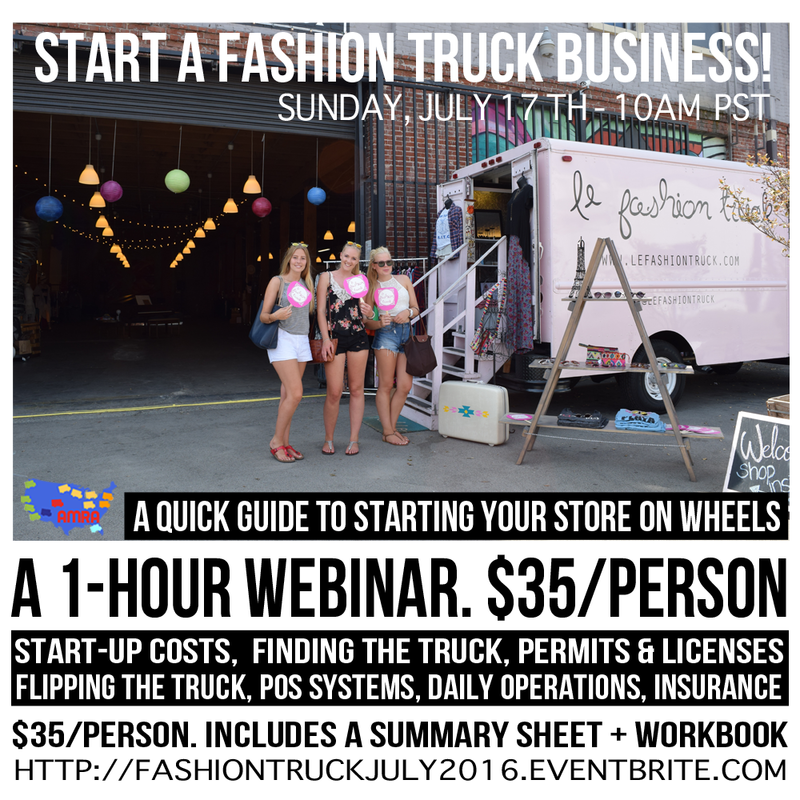 Take our July webinar, the NEW "Start a Fashion Truck Business" webinar!